Are you looking to get into the smartwatch game without breaking the bank to do so? Well, you’ll be pleased to know that smartwatches have seen a significant drop in price in recent years, and although flagship models still continue to command a high price tag, there are now a number of midrange devices that can be picked up at a much lower cost. This guide looks at the best smartwatches that are currently available for under $150. It includes a wide range of different models, from budget bargains all the way up to flagships that have received price drops thanks to the release of updated versions. A flagship device at a bargain price. Before we get into the products themselves, let’s briefly go over the main aspects of a smartwatch. This will help you narrow your scope and really home in the type of device you need. As you are in the market for a smartwatch, it is fairly safe to assume that you are more concerned with the features it has, rather than how it looks. This is where many people go wrong, as they prioritize looks over functionality. This leads them to make compromises and in the end, they end up with a product that they are never truly satisfied with. So, instead, the first question you should ask yourself is, What do I need my smartwatch to be able to do? The answer to this question can vary greatly from person to person, but if you are unsure about which features you need, here are a few sought after ones to consider. The most common feature seen on smartwatches is activity tracking. At a bare minimum, this allows you to track basic things such as calories burned and distance walked, but on more advanced watches, it can also be tailored for certain sports and act almost like a personal trainer. Another feature that is usually desired is a heart rate monitor. 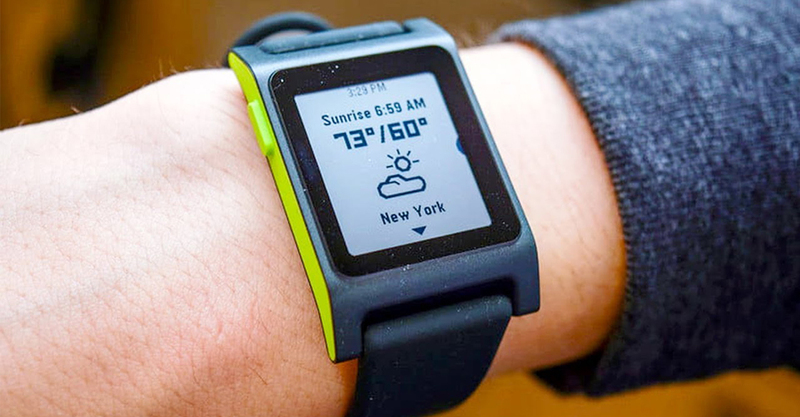 These used to be quite hard to find on smartwatches, but thanks to advancements in the technology, these devices are now relatively commonplace and provide a great way to keep track of your heart both in general and when doing any physical activity. Sleep tracking is also a desirable feature nowadays, with many people looking to keep track of how well they are resting each night. If this is something that you feel you would benefit from, you should probably prioritize battery life as well. The reason for this is because most smartwatches with shorter lives need to be charged regularly, meaning that you can’t wear the device 24/7. For sleep tracking, long battery life is essential, as you need to be able to rely on your smartwatch to last the entire night without running out of power. As you are looking for a smartwatch rather than a fitness tracker, you will probably want the device to have some sort of notification system as well. Most smartwatches include a one-way notification system which will inform you of anything received your phone, however, on hybrid smartwatches, this feature isn’t always implemented very well, so be sure to check this if a notification system is a must-have for you. Once you have an idea of which features you need, you can begin thinking about your design preferences. This is, of course, a very subjective area of a smartwatch, so rather than telling you how your device should look, we will simply go over the main areas of a smartwatch in terms of appearance and construction. The first thing you should think about when it comes to the design is whether you want to have a full-screen, digital display or a traditional, mechanical one. Both options have their own pros and cons, but the key difference between the two is that a full-screen display offers better functionality while a traditional watch face tends to offer a better appearance, in most people’s opinion. You should also think about whether you would prefer a round watch face or a square one. Square watch faces have become quite popular on smartwatches thanks to the success of the Apple Watch, however, most manufacturers still prefer the aesthetic of a round watch face as it gives the device a more conventional look. Another key area of the design is the construction, i.e., Which materials do you want your smartwatch to be made from? This is an important one as different materials have different strengths and weaknesses and, ideally, this decision should be based on how you intend to use the device. For example, if you are looking for something classy, that will look nice with a suit, you can afford to go for something a little more premium looking, with a stainless steel case and a leather strap, maybe. On the other hand, if you intend to use the device mainly for fitness training, you will probably want something lightweight that has a silicone strap, as leather soaks up sweat which can cause it to smell and discolor over time. The final aspect of a smartwatch that you should consider is battery life. We touched on this earlier while discussing sleep tracking, however, battery life is something that affects far more than the viability of one or two features. Poorer battery life, in particular, is often present in smartwatches with full-screen displays, as their high-quality panels consume a considerable amount of power. Depending on your needs, this can be a real issue, as it means you might not be able to get more than a day out of the device before needing to charge it. Therefore, if you are looking for a smartwatch that can replace your traditional watch and be worn all the time, full-screen smartwatches might not be your best option. Instead, a hybrid smartwatch could be better for you, as they can potentially last for years at a time, thanks to their often non-rechargeable batteries. Although a lot of their products have flown somewhat under the radar, Huawei has become quite a big player in the smartwatch market. They have released a number of different models, albeit to mixed reviews, and the Huawei Fit represents their cheapest option to date. 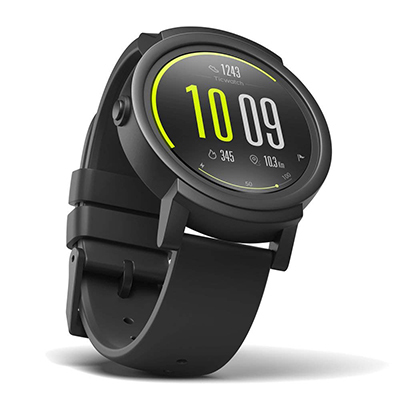 The watch has a very sleek design with a thin casing and no physical buttons. Around the display is a large bezel with time indicators which in most cases would compromise the look of the device, however, in this case, it actually enhances it, giving it a more premium appearance instead. The size of the casing is 39.5mm, meaning that the watch should fit well on pretty much all wrists. As mentioned, the casing is also surprisingly thin, measuring just 9mm in depth. This gives the watch a very conservative footprint and you shouldn’t feel any bulkiness at all while wearing it. Another nice aspect of the casing is that it is made from aluminum. This lightweight metal not only improves the weight of the device, but it also gives it more durability than many of the plastic smartwatches that you will find at this price point. As for the strap, that is made from silicone. This material isn’t quite as fancy looking as leather, but it does provide a very comfortable fit and is perfect if you plan to use the device for fitness as it won’t soak up any sweat. The watch is also highly resistant to water and can be used liberally while showering or swimming. This is thanks in part to its lack of buttons, as the watch, therefore, has no openings for water to seep into. The Huawei Fit also has a decent set of features including activity tracking, heart rate monitoring, sleep tracking, multi-sport modes, and one-way notifications. This is a surprising amount of functionality to see on a smartwatch at this price point, especially when you consider the fact that hardly any compromises have been made to its construction. One thing that is missing from this device, however, is GPS. Given that this is a fitness smartwatch, it is quite a shame not to see it included, as many of you will likely want to use this watch while running or cycling. This can still be achieved by pairing the device with your smartphone, of course, but having GPS built-in would have been much better. NFC is another feature missing from this device. This one is easier to overlook, but if being able to pay for things with your watch is important to you, this isn’t the watch to go for. As there are no buttons on this device, all of the navigation is done using the touchscreen. This could have been an issue, considering how small the display is, however, Huawei has made sure to keep the interface simple and the display’s basic swipe and tap gestures work really well. The Huawei Fit also has great battery life, lasting up to 6 days on a single charge. The watch is able to achieve this thanks to its small display, however, because of how thin it is, we were still surprised to see that the battery could last this long. The exact amount of battery life you get will vary though, based on how you use the device. At the very least, you should be able to get a few days out of the device at a time, but if you are a serious power user, this could drop slightly further. If you are looking for a good all-round smartwatch that can be worn in multiple scenarios, this is a great option to go for. Not only does it look and feel good, but it also has a wide range of features as well, making it a very well-priced product. The TicWatch E has been around for a while now, but it continues to receive rave reviews thanks to it’s impressive features, as well as the fact that it uses Wear OS. This software gives the watch access to a variety of different Android apps, making the watch highly customizable and versatile. The watch has a simple design, but it is one that works well, as it allows the watch to come off looking rather premium, rather than cheap and gimmicky. This is also helped by the thin bezel around the display, as well as the single round button that sits in the middle of the right side of the casing. The casing has a diameter of 44mm, making it larger than a lot of smartwatches, but it should still fit well on most people, without overhanging the wrist. The casing is also 13.5mm thick, which does make it a little bulky, but unless you have small wrists, this shouldn’t be a problem. As for the construction, the casing and cover are both made from plastic. This is arguably the most disappointing aspect of this device as it significantly reduces the watch’s durability and makes it very prone to scratches. Plastic casings can be somewhat overlooked at this price point but the plastic cover harder to justify, as if you are not careful, it could become very scratched within a matter of months, making it difficult to read the information on the display. The strap, on the other hand, is a good one. It is made from silicone and its plain styling complements the watch very well. It also provides a lot of comfort, making it a great option to use for fitness activities. The watch is also splashproof, meaning the odd bit of rain or sweat isn’t going to do any damage. You should avoid using the device in the shower or while swimming, however, as this will most likely break it. 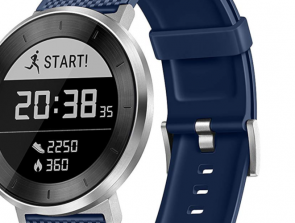 Although some clear compromises have been made in terms of construction, the TicWatch E does have a nice selection of features including activity tracking, heart rate monitoring, GPS Google Assistant, and one-way notifications. The standout features here are, of course, GPS and Google Assistant, as these aren’t yet commonplace on devices at this price point. The GPS in particular works surprisingly well, however, you shouldn’t set your expectations too high, as it is more reliable when used a tracker, rather than something to deliver pinpoint accuracy. Google Assistant is also very handy to have, as it can sometimes be annoying to have to navigate small displays with only touch inputs. This feature does use a small amount of power, however, as you need to turn on the “Ok Google” detection in the settings. This will mean the device is always listening for the phrase “Ok Google,” therefore, consuming power in the process. As you know, the watch is also equipped with Wear OS. This gives the device quite an edge over a lot of its competition, as it means the watch can become more functional, through software updates alone. It also makes the device highly customizable, with plenty of apps on the Play Store to change watch faces and other elements of the UI. On a single charge, the TicWatch E can last up to 48 hours. As always, this will depend on how you use the device, but having said that, you shouldn’t notice too much of a dip, even with more extreme use. Although this means the watch has less battery life than the other devices in this guide, it does actually top most other Wear OS smartwatches, as the majority of them only last around 24 hours at most. 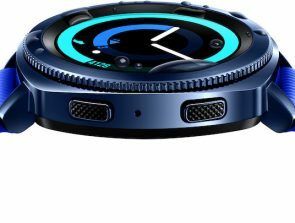 The TicWatch E has a lot to offer at this price point. It has a lot of sought after features and it uses Wear OS, which is a fairly premium piece of software. There are some question marks around its construction though, as it is almost entirely made of plastic. 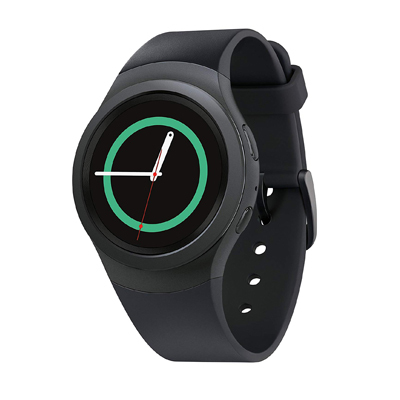 Since the release of the Samsung Gear S3, the S2 has seen a significant reduction in price and can now be viewed as quite a bargain, offering a number of flagship features at a much more affordable price. The Samsung Gear S2 has a simple, modern design indicative of a smartwatch by a tech company. It is a very sleek device with smooth rounded edges and a watch strap that seamlessly connects to the casing. This makes it a great option for tech lovers, as it isn’t trying to fool anyone with its appearance. It is a smartwatch and it wants people to know that. The diameter of the casing is 42.3mm, which is a pretty reasonable size for a smartwatch and it means the S2 should fit most wrists comfortably. The casing also has a thickness of 11.4mm, which makes it thinner than most smartwatches. This means the device shouldn’t feel too bulky or move around much during workouts. The casing is also made from metal, making it highly durable and fairly resistant to scratches. This gives the S2 the edge over a lot of other smartwatches at this price point, as like you saw with the TicWatch E, plastic is often used instead. The strap is made from silicone and it has to be one of the most comfortable straps on any smartwatch. Thanks to the S2’s design, the strap almost molds around your wrist, creating a very snug fit. As it is silicone, it is also perfect for fitness training, as it is both water-resistant and unable to soak up sweat. Speaking of water-resistance, the S2 is safe to use while showering, swimming, or even snorkeling. This is to be expected of a flagship device, of course, but it is still great to have the assurance that you can happily use this device in water, without worrying if it will become damaged. 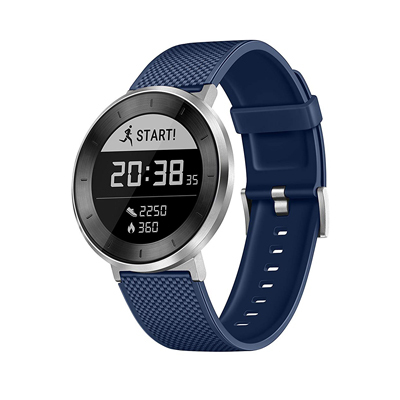 The S2 has a relatively decent set of features including activity tracking, heart rate monitoring, GPS (3G model only), and one-way notifications. Surprisingly, this isn’t as diverse as some of the other devices in this guide, however, it is worth remembering that this watch is now a few years old, and a lot of premium features back then have since become mainstream. What the S2 does offer over its competitors is the fact that all of its features work flawlessly. One of the biggest issues with cheaper smartwatches is that they aren’t always reliable. Being a flagship device, the S2 doesn’t have this problem, so if reliability is a concern to you, it could be worth playing it safe with a well-refined product like this one. One annoyance about this device in terms of features is the fact that GPS is only available on the 3G model. On one hand, this makes sense as the 3G model is intended to be used without a smartphone, however, it also costs a considerable amount more and, therefore, hasn’t made it into this guide. You could pay the extra, of course, but given the fact the regular model can still make use of your phone’s GPS, it doesn’t really seem worth it just for this feature. The battery life on this device is decent and on a single charge, the S2 should last anywhere from 2-4 days. This certainly isn’t the best we’ve seen on a smartwatch, but as this device has a large, high-quality display, it is still rather impressive. It does mean you will have to charge the S2 fairly regularly though, which isn’t ideal if you plan to use the device all the time. The S2 is still good enough to beat most of its competitors at its new price point. It boasts a very premium design and has a lot of refined features. On top of this, its water-resistance is among the best, even today, making the S2 a real bargain. 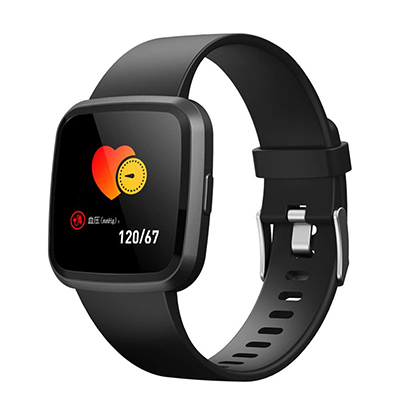 When it comes to value for money, it doesn’t get much better than the Amazfit Bip. With its superb set of features and exceptional battery life, it took the tech world by storm when it was initially released, and it continues to turn heads even today. In terms of appearance, the Amazit Bip has taken a lot of inspiration from the Apple Watch, opting to use a square watch face, rather than a round one. You can’t really blame them here, as Apple is probably the best company to steal aesthetic ideas from. Unfortunately, though, Amazfit hasn’t been able to pull off the design very well. The Apple Watch, thanks to its premium construction, looks classy and expensive, whereas the Bip pretty much looks the opposite. This is mainly due to the significant black bezel around the display of the device, but also because of the plastic casing. It isn’t the worst looking smartwatch we’ve seen, but it is far from being the prettiest. The display has a width of 32.5mm which is rather small, but it does allow the Bip to maintain a very high battery life. It is also relatively sharp, so you shouldn’t have any problems reading any of the information on the screen. As for the strap, that is made from silicone. It has a nice feel to it and provides plenty of comfort, but again, it isn’t going to wow people. It’s functional though, as is the watch itself, so if looks are less important to you, the Bip still has plenty to offer. The watch is also IP68-rated, meaning it is fine to use in the shower or while washing dishes, but anything more than this should be avoided. Swimming, for example, is a no go, as there is no guarantee the watch will survive. 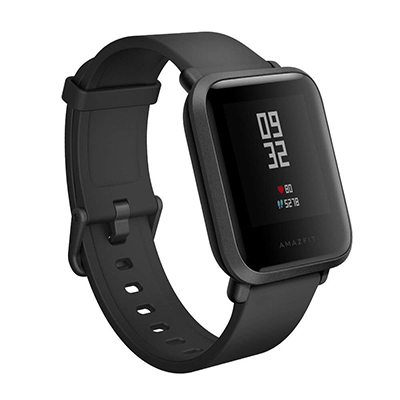 The Amazfit Bip might not have the best design, but it does boast a very impressive set of features including activity tracking, heart rate monitoring, GPS, sleep tracking, sports modes, and one-way notifications. 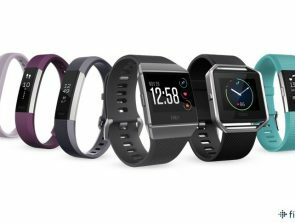 This puts it ahead of a lot of its competitors in terms of functionality, as it is quite rare to see heart rate monitoring, GPS, and sleep tracking all built-in to a device at this price point. For this reason, many of the Bip’s design flaws can be forgiven, but it doesn’t change the fact that its appearance could be improved. There is also an always-on display, meaning you don’t need to wake-up the device just to check the time. This is a fairly simple feature, but it is also highly convenient and is something we’d love to see implemented by other manufacturers. To achieve an always-on display, Amazfit has opted to use a transflective display on the device, which is clearly visible in bright light, but struggles in dimmer light. For this reason, you will probably still want to wake the device in the dark to activate its backlight, but overall, it’s a smart move by the company, as it allows the Bip to really conserve its power during the day. Speaking of power consumption, the Bip has an exceptional battery life of up to 30 days. This is amazing for a rechargeable smartwatch and it is thanks in large to the innovative transflective display. If you plan to use the watch extensively, you will be less likely to get the full 30 days of power, but with general use, you shouldn’t see the battery life drop too much. Although there are some clear issues in the design department, this is a seriously impressive smartwatch. It’s feature set is among the best we’ve seen and its battery life blows the competition away. The DSmart H4 is a bit of an enigma in the smartwatch world, but it actually offers a lot of great features including a couple that we haven’t seen so far in this guide. It also happens to be very reasonably priced, making it a bargain for anyone who decides to pick one up. Just like Amazfit, DSmart has taken a lot of ideas from Apple when it comes to design, with the H4 also sporting a square watch face and casing. DSmart, however, has done a much better job as the H4 looks great. It doesn’t have an oversized bezel around the display and the casing is made from a metal alloy, giving it more durability and a more premium appearance. The display is also slightly bigger than on the Bip, measuring 33mm across. As for thickness, the casing measures 12.9mm in depth, which isn’t exactly slim, but it shouldn’t feel too bulky either. The strap is made from TPU, which is a mix of both silicone and plastic. Fortunately, the strap feels more like the former, making the device comfortable to wear for long periods of time. It would have been nice to see a full silicone strap instead, but if DSmart is going to insist on using plastic somewhere, we would much prefer it to be on the strap, rather than the casing, so we can’t complain too much. The biggest downside to the H4 from a design perspective is the fact that the watch is only splashproof. This makes unsuitable for use in the shower or while swimming, but getting caught in the rain won’t be an issue. On top of having a pretty solid design, the H4 also has a decent feature list including activity tracking, heart rate monitoring, blood pressure monitoring, sleep tracking, one-way notifications, and a remote camera. It’s most unique feature has to be the blood pressure monitor, as this is something very rarely seen on both smartwatches and fitness trackers. There is a good reason for this though as, unfortunately, blood pressure readings taken from the wrist aren’t as accurate as those taken from the upper arm. For this reason, you should take any readings with a reasonable amount of skepticism. The H4’s other unique feature is its remote camera. This is also pretty hard to come by on a smartwatch, but it does offer a useful purpose. For example, it allows you to take a group photo without needing to hold your phone. Instead, you can set your phone up and simply take the photo from your watch when everyone is ready. This probably won’t produce the same results as getting a passerby to take the photo, but it’s a nice option to have if no-one is around to help. The H4 has an impressive battery life of 3-7 days. This puts the device on par with most rechargeable smartwatches and it means you shouldn’t find yourself charging the device too often. It is also great to see that a minimum of 3 days has been specified, as this means that even with extensive usage, the battery life won’t drop too significantly. It isn’t the most premium smartwatch on this list, but as an all-rounder, it is a great option. 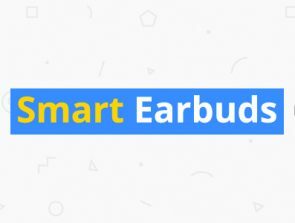 DSmart really hasn’t compromised much at all with this device, and the cutbacks it has made have been smart ones.